Minichamps 1:43 Audi 100 1969 yellow L.E. 252 pcs. 1:18 MINICHAMPS 2006 AUDI RS4 SEDAN BLUE *NEW* RARE!! Minichamps Audi R8 LMS LMS Cup Taiwan 2016 Lee #88 1/18 Scale LE of 300 New! 2003 GREY METALLIC AUDI A8 MINICHAMPS 1:43 430011802 1 of 1200 VERY RARE! 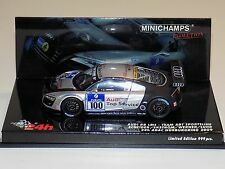 MINICHAMPS 1/43 Audi R8 ALMS Adelaide 2000 430 000977 Diecast Model Car - NEW! 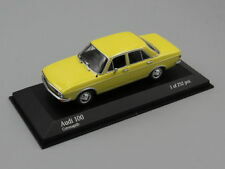 2003 YELLOW AUDI A3 MINICHAMPS 1:43 430012001 1 of 1200 VERY RARE!